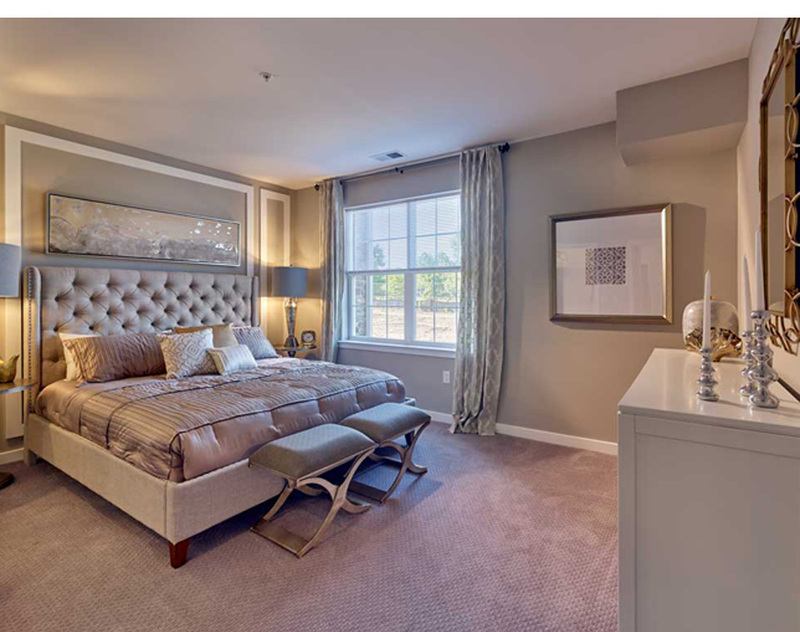 EAST WINDSOR, NJ – The Woods at East Windsor is fast approaching the end of its leasing program, prompting developer Sterling Properties to make a fully-furnished two-bedroom model apartment available for rent at the upscale community for those aged 55 and better in this Mercer County Township. The expansive 1,239 square-foot Fushia home provides a unique opportunity to move immediately into a luxury rental residence complete with all the special finishing touches and modern furnishings only a professional design firm can provide. The model is being offered for $2,350 per month. The Fushia apartments boasts luxury flooring, an upscale kitchen with shaker-style designer white cabinets, quartz countertops and stainless steel appliances, individual washer/dryer and outdoor balcony. There’s also private garage parking and on-site storage is available. Residents at The Woods at East Windsor have access to a 3,000 square-foot clubhouse which includes billiards, fitness studio and clubroom with kitchen. There’s also an outdoor swimming pool, Dog Park, community garden and walking paths. For additional information, please visit www.thewoodseastwindsor.com or call 609-426-0246.